So looks like every big company wants to invest in the high flying robots, known as drones. First Amazon and UPS, And now Google and Facebook. 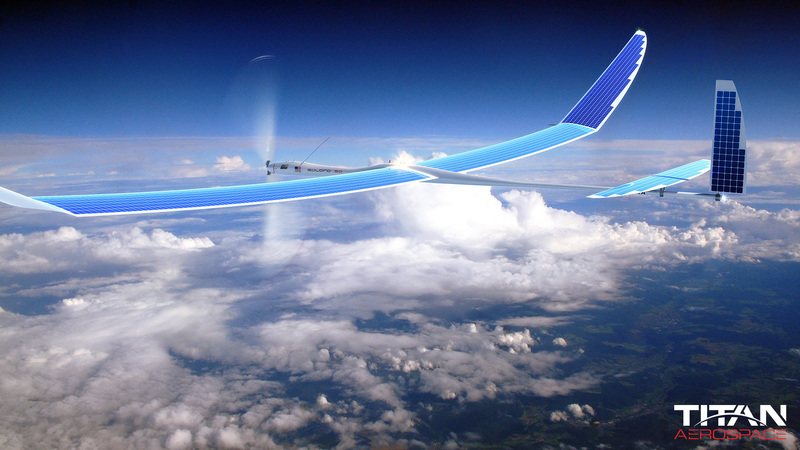 Yeah, that’s right, Google now acquired Titan Aerospace a Startup Drone company which makes high flying robots. The company was previously scoped by Facebook as a potential acquisition target. The details of the deal is not yet disclosed but the deal comes when Facebook disclosed their deal with UK-based Ascenta for its globe spanning internet plans — a Titan Aerospace competitor. Both Ascenta and Titan Aerospace are in the business of high altitude drones, which cruise nearer the edge of the earth’s atmosphere and provide tech that could be integral to blanketing the globe in cheap, omnipresent Internet connectivity to help bring remote areas online. Well where Google says it will be using Titan Aerospace’s expertise and tech to contribute to Project Loon, the balloon-based remote Internet delivery project it’s currently working on along these lines. Titan drones can help Google to take high-quality images in real-time that could help with Maps initiatives, as well as contribute to things like “disaster relief” and addressing “deforestation,” as said by Google’s SpokesPerson. Still the main motive according to Google is spreading the potential reach of Google and its network, which is Facebook’s aim, too. Google had just recently demonstrated how its Loon prototype balloons could traverse the globe in a remarkably short period of time, but the use of drones could conceivably make a network of Internet-providing automotons even better at globe-trotting, with a higher degree of control and ability to react to changing conditions. Some kind of hybrid system might also be in the pipeline that marries both technologies. We feel that along with this Google can also use the drones for developing the Google Earth and Google Maps model. Well where Titan says that its massive drones can fly upto the altitude of 65000 feet for up to three years is also represents the latest string in the Robotics Acquisitions made by Google.